Morocco is one of the Northern African countries located in the western part of North Africa. The country is rich in culture, language and beauty. Morocco is a special country as it is one of the three countries of the world with an Atlantic and Mediterranean coastline. Essentially an Arab nation, Moroccans live an Islamic kind of life. Therefore in order to fully enjoy one’s stay, you may want to get familiar with the Muslims and how they live. For Nigerian willing to travel to Morocco, a visa is required. However, there are certain requirements and conditions to be met before a Nigerian can go ahead to apply for the Moroccan visa. Also, prospective visa applicants should know that there are several types of Moroccan visa available and specific requirements for each. Each visa type is classified based on specific purpose and intention of travel. Therefore you should apply for the visa type that suits your purpose of travel. The Moroccan Student visa: this type of visa is for those who wish to travel to Morocco to study. The study visa is typically a temporary visa and is issued on the condition that the applicant already has sustained an admission in a institution in Morocco. To successfully apply for a Moroccan student visa, you are expected to provide a proof of admission into an institution of study in Morocco as well as an evidence of adequate funds to support you throughout your study period. 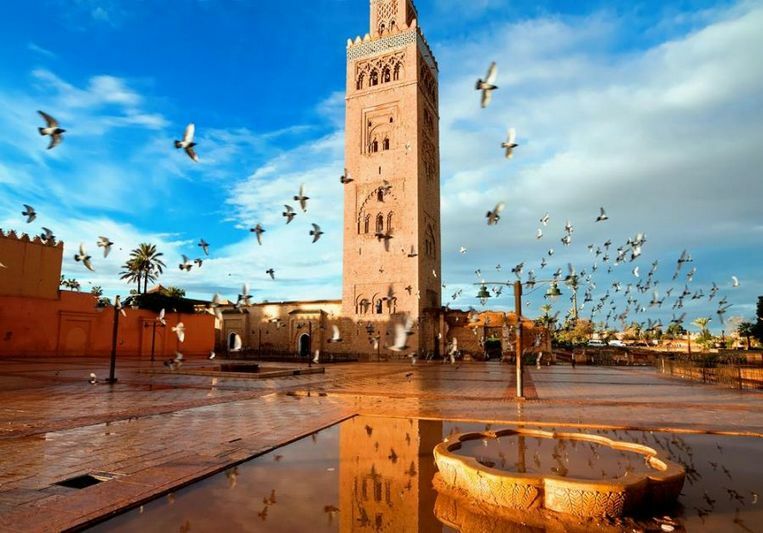 The Moroccan Business Visa: This is the type of visa issued to individuals who wish to travel to Morocco for the purpose of carrying out business or commercial activities, attending conferences, seminars or lectures. These could be scientific, professional, business or even educational conferences. The Moroccan Business visa is also issued to those who intend to travel to Morocco to work with their business or company representatives in Morocco. The validity period of Moroccan business visa is usually ninety(90) days. The Moroccan Transit Visa: this class of visa is available to individuals passing through Morocco into another country. It is called a transit visa as the holders are only passing through on the way to another country. Transit visas are valid for a period of three days (72 hours). Nigerians can apply for the Moroccan visa as long as they meet the following requires and satisfies certain conditions. Visa application form: to successfully apply for the Moroccan visa in Nigeria, you need a completely and accurately filled Moroccan visa application form. This can be obtained from the Moroccan consulate official website. A valid international passport: valid for at least six (6) months beyond your intended duration of stay in Morocco. Also, the passport should have at least two blank pages. Passport Photographs: In addition, you need passport photographs. Preferably coloured, on white background and 2 by 2 dimension. A travel insurance document. This should cover at least ninety (90) days. Evidence of funds: usually you need to provide a proof of enough funds to cover your basic travel allowance and sustenance while you are in Morocco. This should be in form of a bank statement for at least six months. You also need to provide a proof of hotel reservations in Morocco or a verifiable physical and contact address of where you intend to stay during your visit. Additional Requirements for Moroccan visa. A letter or evidence of invitation from your Moroccan business associates or a Moroccan company with vital information. Such as important dates of your visit to Morocco( arrival and departure), your intended period of stay and the purpose of visit. Also, the letter should include the source of your finance and every other spending of the business which may be the responsibility of the Moroccan company. Business Cover Letter: In addition, the business visa applicants should provide a letter of introduction or business cover letter from his or her business organisation or company. This letter must be presented on an official letter head paper. Tax Return Certificate: There is also the need to provide a copy of the visa applicant’s Tax return certificate or evidence. Finally, a clear copy of the applicant’s Company certificate of Incorporation. Importantly, this must be notarised and or endorsed by a recognised body or authority. A letter of evidence or invitation from a person living in Morocco that has invited you, or that you will be visiting or staying with in Morocco. This invitation letter should include the dates of your visit, the period of stay and the purpose of visit. Evidence of funds or the inviting persons financial ability to cover your living expenses while you are in Morocco. Proof of accommodation of such the inviting person. Especially if you will be staying with such person during your period of visit. This could be in form of his physical and contact address details. A copy of the inviting person’s international passport data page, or National identity card. You can also provide a copy of the persons Moroccan residence card to show an evidence that he or she resides in Morocco. You are also expected to provide a tax clearance certificate. Important Note : Visa applicants who are travelling solely for tourism purposes are not expected to provide a letter of invitation to complete their visa application. First visit the Moroccan consulate website and download the visa application form. Visit the Moroccan consulate website at this address www.moroccoconsulate.com. Note: Ensure that you include all details required in the visa application form. Also sign where and as appropriate. As irregular or inconsistent signature as well as incomplete record may jeopardise your visa application process. Gather all required documents. Ensure you take note of additional documents if you belong to any of the special categories ( business visa or applicants travelling on invitation ). Next, pay your visa processing fees. You are expected to do this at the Moroccan embassy located in Abuja. Visit the Moroccan embassy with all your documents arranged neatly in an office file. You may be require to do a biometric processing at the embassy. Ensure you enquire about this and carry out as appropriate. Submit your complete and accurate documents. 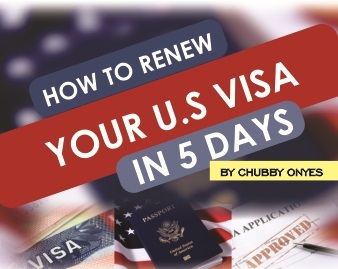 Wait to be notified of your visa when it is ready . Usually Moroccan visas are issued for a duration of stay of ninety (90) days An maximum of double entry. However, if a Moroccan visa holder intends to stay for more than the stated duration, such individual must apply for a visa extension. – A copy of parents or legal guardians identity card or data page of passport. – Also, they should provide a letter of consent or authorisation . This should indicate parental consent or legal guardians authorisation of travel . Such letter or document must be duly notarised . – a copy of their birth certificate. The Moroccan visa takes at least seven ( 7) business days to be completely processed. However, this may vary depending on the situation surrounding individual application.